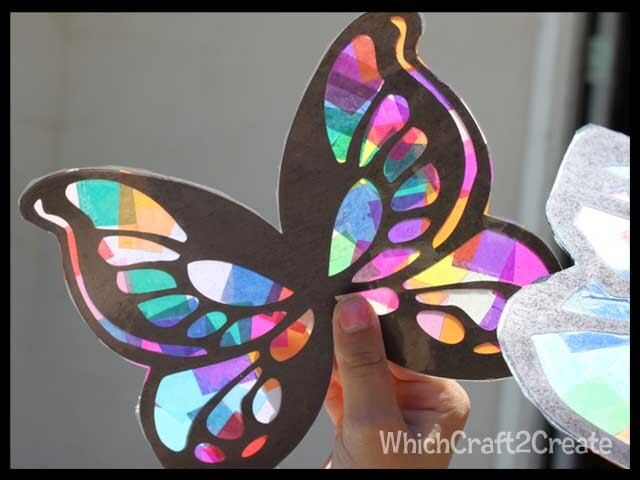 Stained Glass Butterflies | Which~Craft 2 Create? 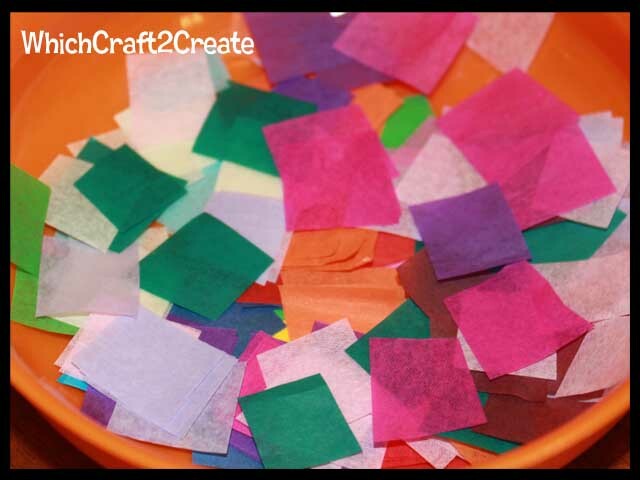 During the Summer I usually plan a few things to do with my kids and keep the summer fun. This summer one of the plans is to focus on art. I am hoping to learn about some famous artists and just try out so many of the fun art idea’s floating around! 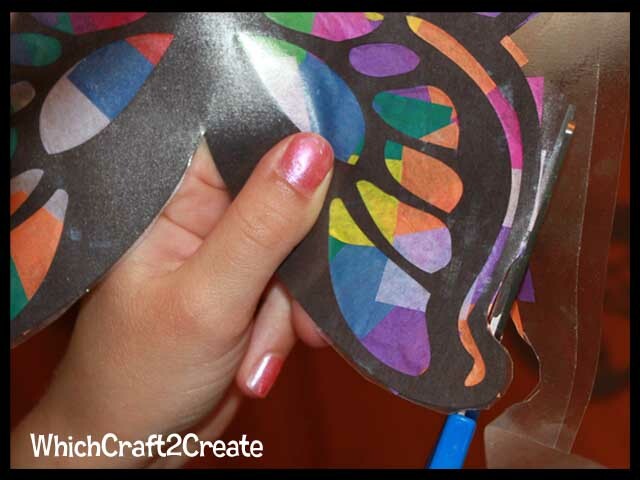 This is our first one to kick off our Summer of Art! 2. 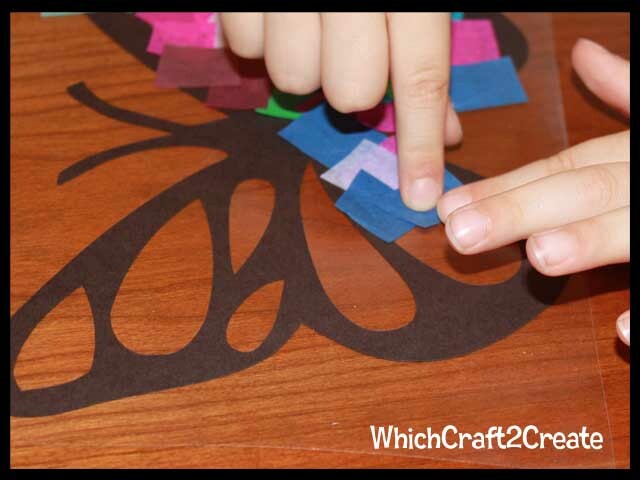 Depending on the size of your openings and age of kids you can use the square as is. 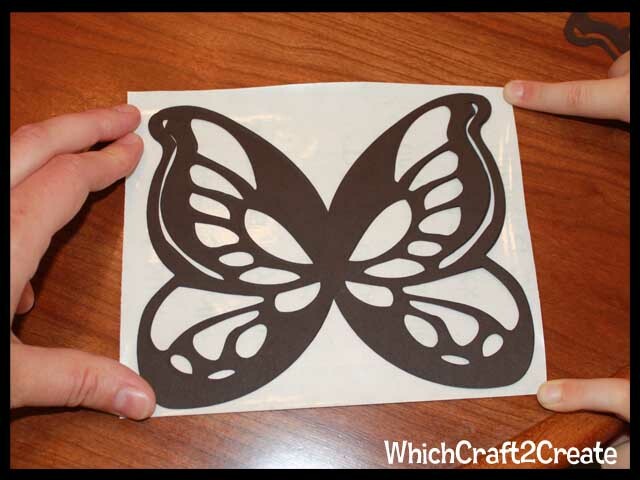 This was perfect for my toddler or quarter them which I did for my older two. 4. 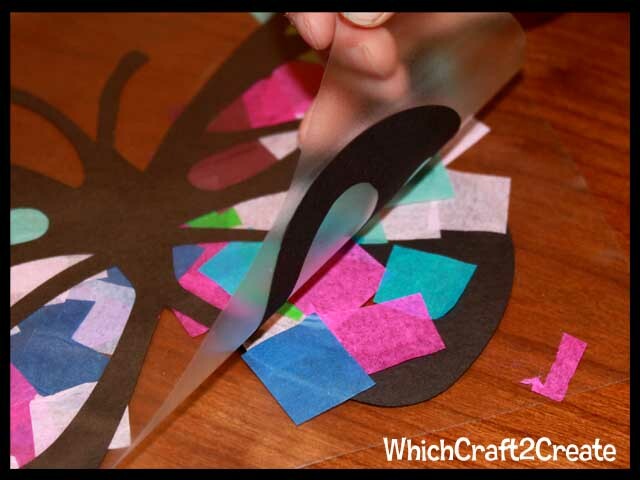 Attach your template to one of the pieces of contact paper. 6. 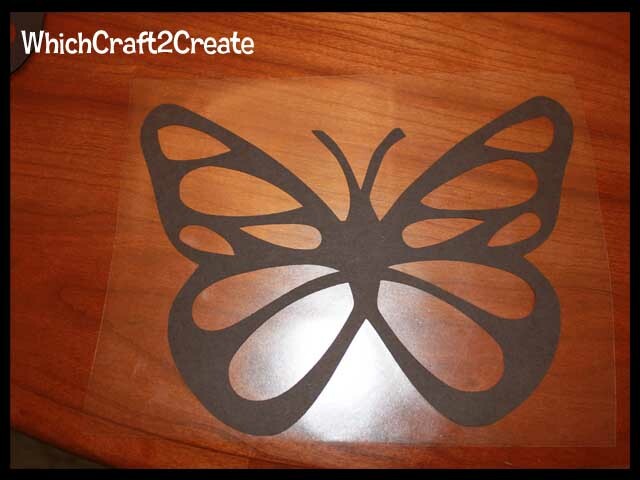 Align 2nd template over the first and then place contact paper over top. 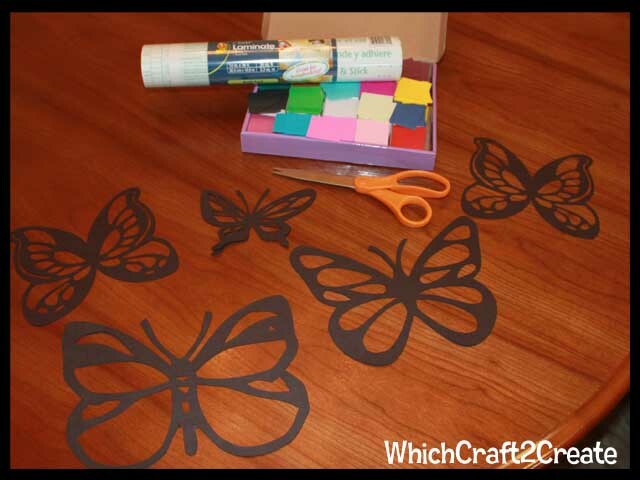 TIP: I wish we had glued the 2nd template on first because as we trimmed our butterflies they started to split. 8. Enjoy your beautiful artwork! 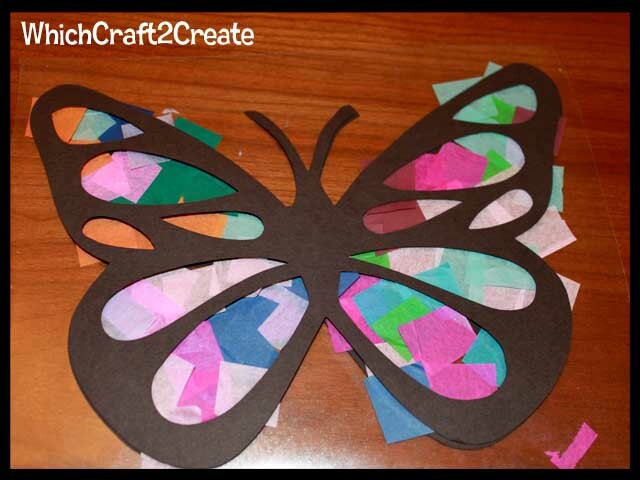 This entry was posted in Crafts, silhouette, Summer, Summer Art Projects, tutorial. Bookmark the permalink. These are gorgeous! 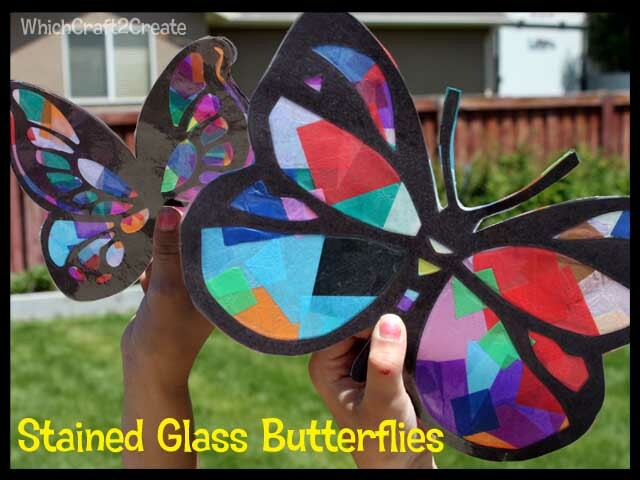 I bet my kids would love to make some butterflies this summer. Thanks for the blog mention too.